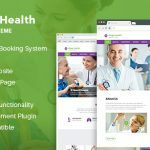 theem’on has launched the latest Gardening WordPress theme which is now available at 15% discount for a limited time period. This extraordinary deal is being offered with the aim to the businesses to develop an eye-catchy website without any hassle. So, hurry up and grab this awesome opportunity before the offer expires. Starting from 29th May, 2017, this exclusive offer will be valid till 30th June, 2017. Those who wish to avail this offer need to apply the coupon code GARDENINGWP15OFF to unveil the offer. 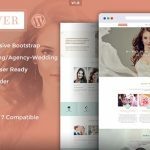 Being a marketplace that offers out of the box WordPress themes, templates, newsletter templates etc., we aim to provide exceptional WordPress themes for a number of business websites. In an attempt to turn out to be more valuable for our customers, we are providing this massive discount right at the launch of the theme. 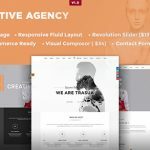 Our experts have worked really hard to create this extraordinary gardening theme that is sure to give an alluring appearance to your website. 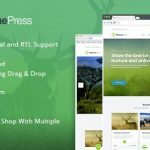 Best suited for Agriculture, Gardening business, Florists, Firewood and many other websites, this theme will take your business to new heights. So, why to wait for? Take this exciting opportunity in your hands before the time slips away. Use the coupon code GARDENINGWP15OFF which is valid till 30th June, 2017.